I can never pass up a good sale, especially when it’s at Shopbop! My favorite e-retailer is back with another great discount event – save $$$ when you spend! 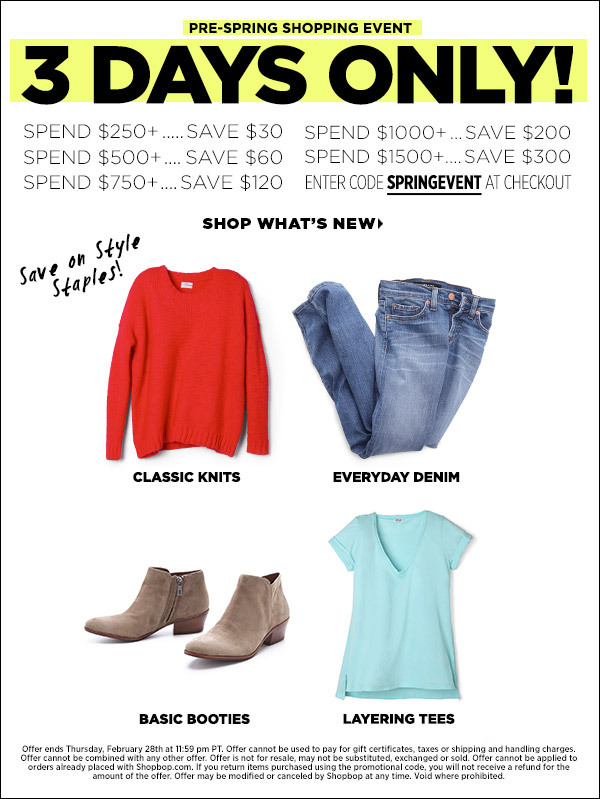 Just enter code SPRINGEVENT at checkout and save on any purchase over $250! Silver + white Rag & Bone sandals for summer – love the ankle strap! If you’re looking to semi-splurge on a classic neutral bag, go with this Alexander Wang piece – this will be wearable all year and is the perfect size! Click here to shop now and save!